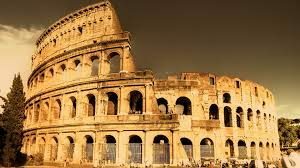 The 4000 years old rich ancient Greek civilization has given the world a lot. Many countries worldwide have borrowed what can be called Greek in many ways. 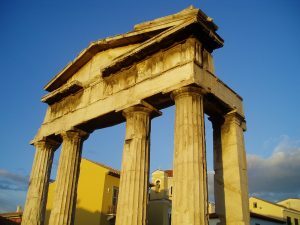 Let us look at some Ancient Greek Facts about the Greece civilization. The ancient Greek civilization was formed by the Mycenaean’s and they spread the Greek empire from Greece to Europe and beyond. Ancient Greece was divided into many city-states, each having its own different law and order. These city-states were called pols. Athens, the capital of Greece, is one of the oldest cities in the world with the first inhabitants were present in the 11th – 7th millennium BC. The city was named after the goddess Athena, and Parthenon, one of the world’s greatest monuments, was built as a temple of the goddess Athena. Greece was and continues to be one of the largest producers of olives. Olive trees were planted by ancient Greeks as the place was suitable for growing olive and hence even today Greece remains to be the 3rd largest producer of Olives. Mount Olympus, the highest point in Greece, was considered as the home of Olympian gods and goddesses. What is today considered the most anticipated sporting event was started almost 2700 years ago in 776 BC. The only sporting event back then was a 200-meter sprint. 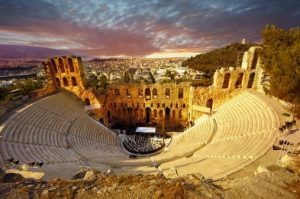 Ancient Greece had theatres big enough to accommodate 15000 people. Only men and boys were allowed to act in plays and also only men could watch them. Dramas of different types of comedy, tragedy etc. were performed. The famous Hippocratic Oath taken by doctors’ world over is actually dedicated to the ancient Greek physician Hippocrates, who is regarded as the father of medicine. The first academy was founded in Greece with much of focus on philosophy. It was founded by Plato in 387 BC. Many countries today follow a democratic rule. This form of governance has its roots in ancient Greece, with Athens applying democracy for the first time. Back then only men had voting rights and power to make political decisions. Many famous mathematicians like Archimedes and Pythagoras hail from ancient Greece and their theorems are used till date in schools and colleges. Copyright © 2019 Ancient Greece Facts.com. Powered by WordPress and Stargazer.